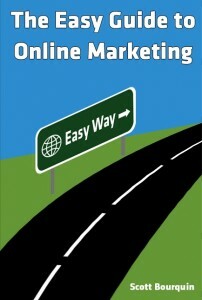 Is your online marketing making you crazy. Do you really know where the time and money goes? How many hours have you spent listening to sales pitches from your phone book guy about how great their online directory is, or how many emails have you deleted? Is your spam folder overflowing with offers to “Get your website on Googles first page”? 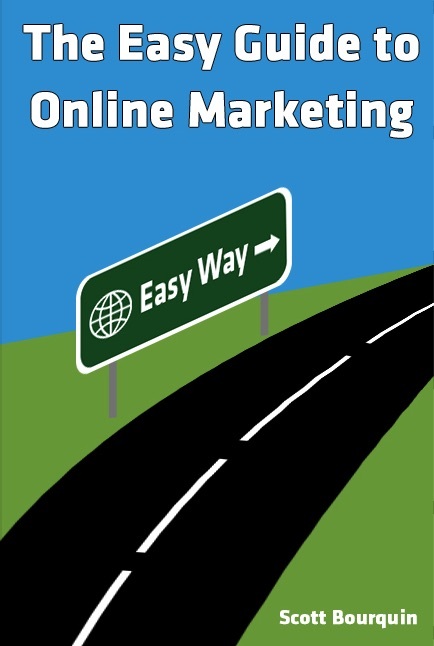 There is a better way, and now we have updated the Easy Guide to Internet Marketing and renamed it to the Easy Guide to Online Marketing because there is more online than just “the internet”. It will be on bookstore shelves soon, but you can get your pre-order copy now for FREE. That’s right, free. Just pay $6.95 in shipping and handling and as soon as they leave the presses your copy will be dropped in the mail. This offer is only good for a short time, so act now or pay the $11.95 cover price plus shipping!